Today is Day 2 of my attempt to blog every day leading up to Christmas. While I was planning out the posts for this month, I really wanted to do something consistent on Sundays, and our church's praise and worship just kept coming to my mind. I just have to tell y'all that we have the BEST praise and worship department at Grace Meadows Church. Cameron and his team truly use their talents to glorify God every single Sunday and Wednesday. The songs they pick edify & glorify God, and the words of these songs are just incredible. This month I want to share a couple of the songs that have just completely wrapped me! I shared with y'all on Wednesday in my What's Up Wednesday post that I'm listening to this song on REPEAT!! I just can't stop singing this song. That You've gone to win my war. You come back with the head of my enemy. You come back and You call it my victory. Your love becomes my greatest defense. It leads my from the dry wilderness. And all I did was praise. All I did was worship. All I did is stay still. So much better Your way. Where my heart can seek to find Your truth. You restore my faith and hope again. All I did was praise. And when I thought I lost me, You knew where I left me. You reintroduced me to Your love. You picked up all my pieces and put me back together. You are the Defender of my heart! I mean, how good are these words, and seriously, how great is our God?! I love that this song reminds me that I've done nothing to win any victory except stay still and praise God. Also, even when I lost myself, God never did. He knew exactly where I was and exactly how I needed Him before I even knew what was going on. I think back to when my world was spiraling completely out of control. I thought I was losing everything, even who I was, but God...always but God...had a mighty and great plan for my life and my sweet family. I hope you are just a little encouraged through this song as my family is. It's our current favorite song to belt out at church and in the car, and really we'll belt it out just about anywhere and any time! 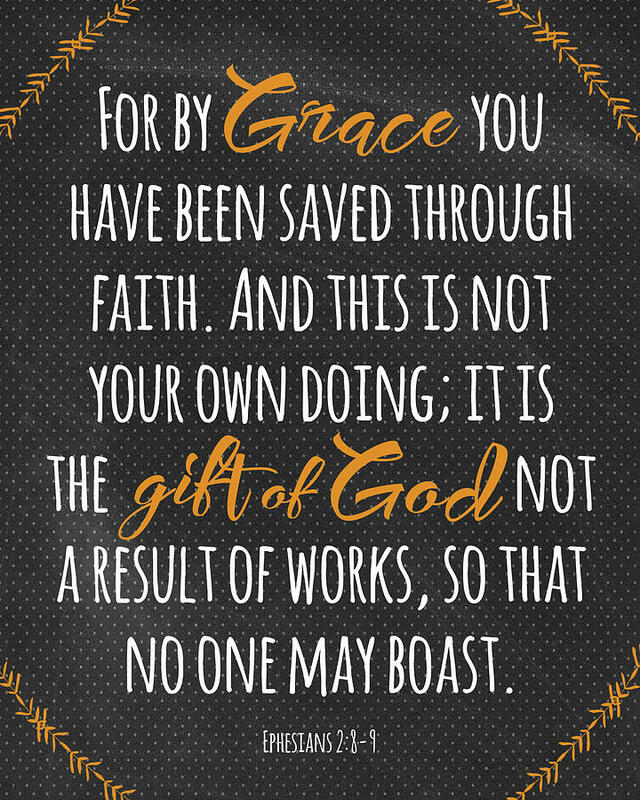 It's nothing that we've done, but grace is that marvelous gift from God. See y'all tomorrow for a little weekend wrap-up! Oh this song and that verse. AMEN!